Chlorine and chlorine dioxide are two popular, but very different chemicals that are commonly used to treat water against lots of different bugs including legionella and other potentially dangerous bacteria. Both have their advantages and disadvantages especially when it comes to the control of Legionella bacteria in water systems. Most people are familiar with the smell associated with chlorine (Cl) as it is often used to get rid of potentially harmful bacteria that can contaminate swimming pools, spas and hot tubs. Chlorine dioxide (ClO2) is another popular choice for disinfecting water sources to control legionella, other bacteria and importantly biofilm. There are many reasons for this. Why is chlorine dioxide so effective at controlling legionella? Firstly, chlorine dioxides potency is very impressive. It means only a small amount of the chemical is required to have the desired disinfecting effect. 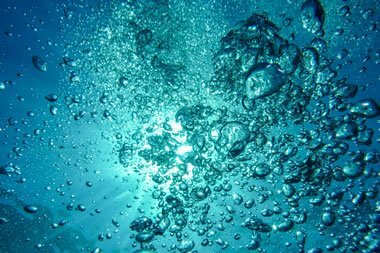 Chlorine dioxide can kill off more than just bacteria, too. Fungi will also be eradicated when the chemical is added to water, along with biofilm. Secondly, its versatility means it is suitable for use as a disinfectant in both water and on hard surfaces depending on the situation. Chlorine dioxide makes for the ideal biocide when used in water sources because it can wipe out many forms of waterborne bacteria, viruses and protozoa. Anyone responsible for managing legionella within a hot and cold water system, cooling tower, swimming pool, spa or other water system may use this biocide as an effective way to get rid of other problem bacteria and viruses too. These include Pseudomonas, MRSA, E-coli, and cryptosporidium – all capable of causing illness in humans, should anyone come into contact with them. Chlorine dioxides ability to destroy biofilm is also a very important feature of this chemical. Many bacteria can live and multiply in biofilm, which can form as a slimy coating inside pipework and other less-used areas of a water system. Once established, biofilm can be very difficult to remove and can become a problematic source of bacteria causing re-infection. It is often best to conduct a thorough cleaning of the water system prior to adding the biocide to it. This should be done by a professional who is trained and experienced in handling such matters. They will also know which dose rate is suitable for treating the system, not to mention how often such a dose will be required. It is typically better to begin dosing with a low concentration of chlorine dioxide, before raising the levels if required. The cleaner a system is, and the better managed it is in maintaining that state, the less biocide will be required to keep the system safe. Very often, automatic dosing is put into place to minimise the amount of work involved in the maintenance process. However, even when automatic dosing is used, regular checks should still be conducted to ensure the system is working as it should be. Again, someone experienced and qualified in such matters should be tasked to do this. If any issues are found, they can then be dealt with quickly and effectively to maintain the cleanliness and integrity of the water system.